Posted January 1, 2017 by Brassica Contributor & filed under Brassica, Glucoraphanin, Health, Recipes, Tea. There is no better way to celebrate National Hot Tea Month than with a new tea recipe, but this one is not for your traditional tea cup. 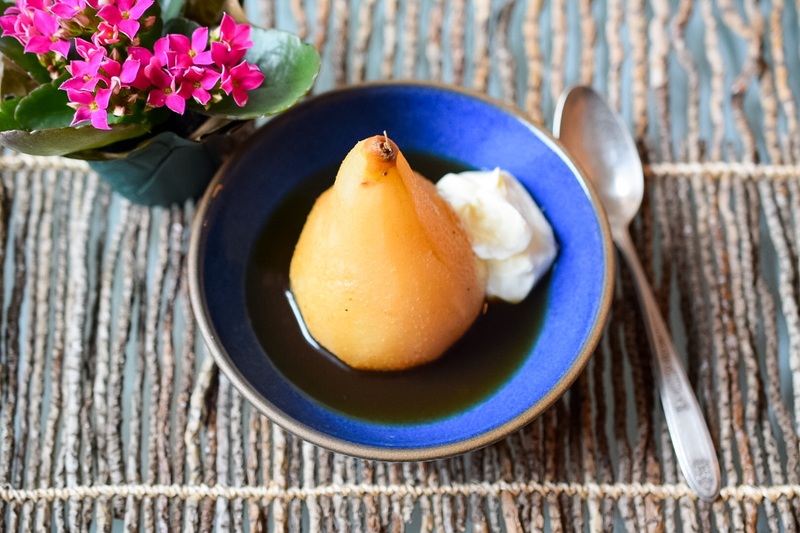 Our friend and registered dietitian – Amy Fischer @thegreenfisch – is back with a new recipe that features Brassica® Tea with a poached pear. Whether you make this as a sweet or savory dish, you will be adding the health benefits of broccoli. Yes, broccoli! Each Brassica Tea bag includes 15 milligrams of the phytonutrient glucoraphanin that is found at the highest levels in broccoli. Studied for decades, the glucoraphanin helps to optimize the body’s own detoxification system. This powerful nutrient tags toxins for elimination while aiding in the actual elimination process. Mascarpone cheese, greek yogurt, coconut yogurt, ice cream, etc. Bring 6 cups of water to a boil in a large saucepan. Add tea bags to boiling water, remove saucepan from heat and let tea bags steep for approximately 8-10 minutes. Squeeze excess liquid from teas bags in saucepan and discard. Add honey, ginger, vanilla bean powder to the tea, stirring until honey has melted. Bring tea to a simmer and cook for approximately 5 minutes. 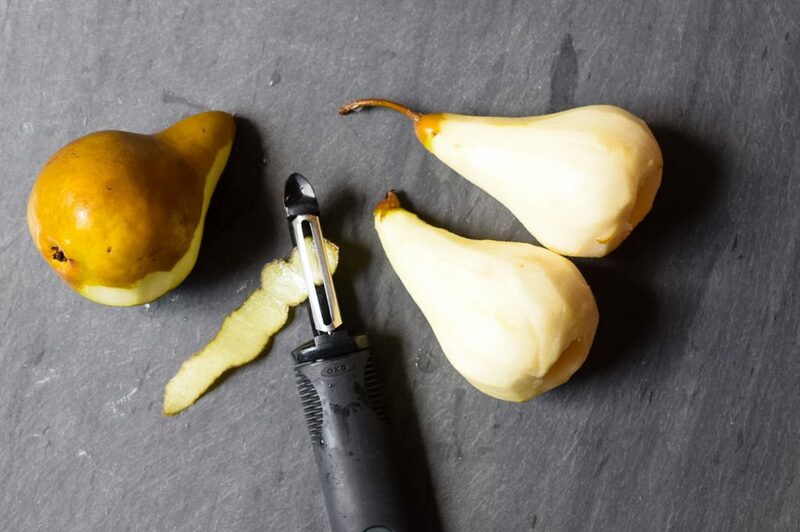 Peel pears using a carrot peeler and leave stems intact. With a melon baller or small spoon scoop out seeds from bottom of each pear. 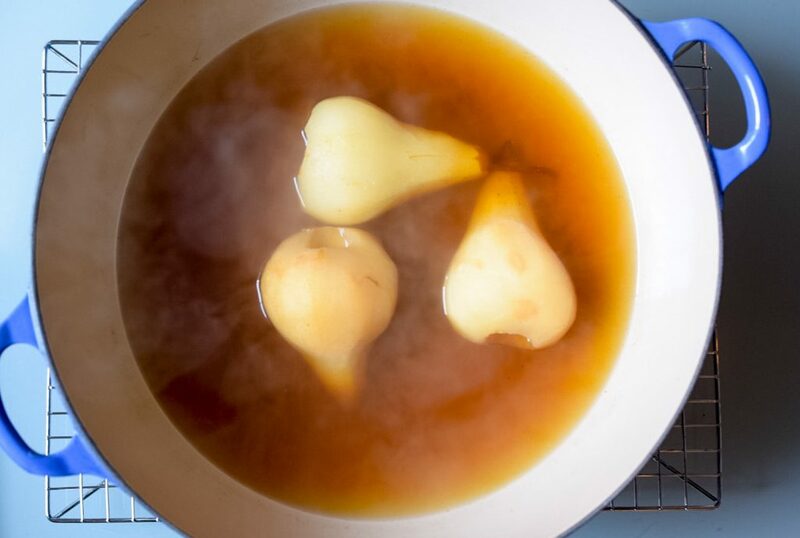 Add pears to saucepan and simmer for approximately 15 minutes until pears are tender. Remove pears from liquid and let cool. Continue to simmer the liquid in pan until it is reduced by about half and thickens. Discard ginger pieces and let tea cool. 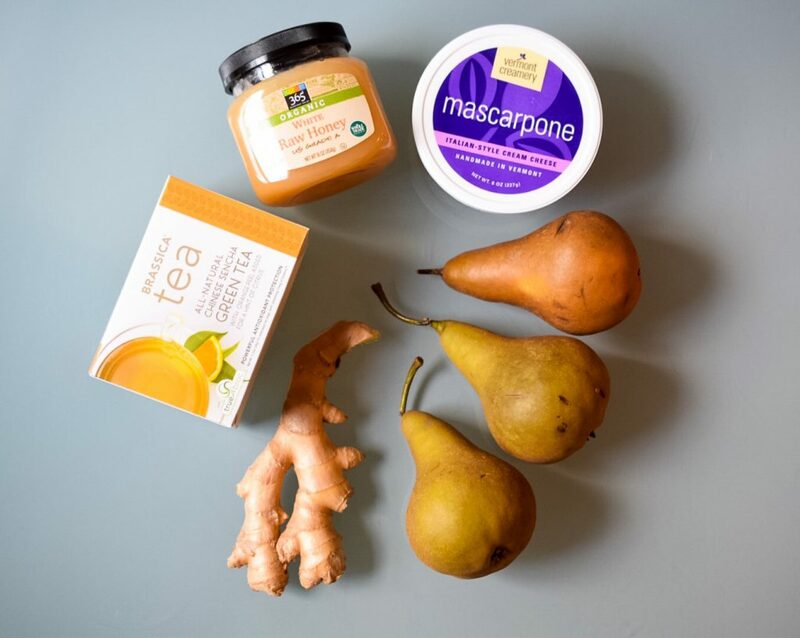 Cut pears in half and spoon the reduced liquid over the pear. Serve with a dollop of mascarpone cheese, greek or coconut yogurt or a scoop of ice cream and granola.